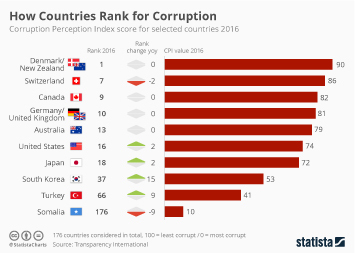 Yesterday, Transparency International released its 2018 Corruption Perceptions Index with the organization stating that the continued failure of most countries to control corruption is contributing to a crisis in democracy around the world. 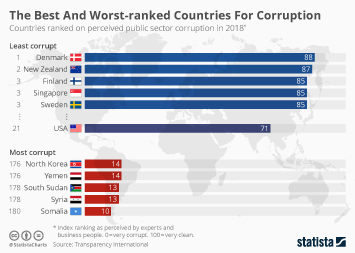 The index ranks 180 countries and territories on perceived public sector corruption with 0 meaning "highly corrupt" and 100 meaning "very clean". 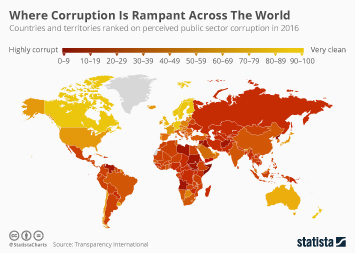 This time around, more than two-thirds of countries scored 50 or below which means they have serious problems preventing foul play in their public sectors. 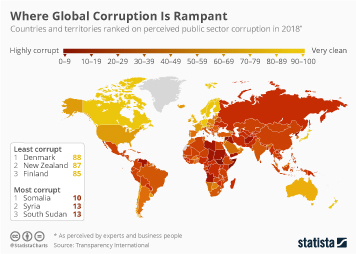 The average global score was 43. 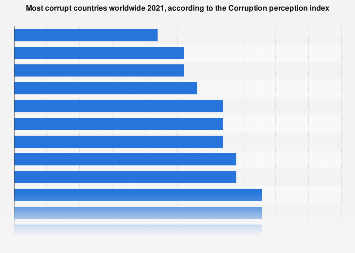 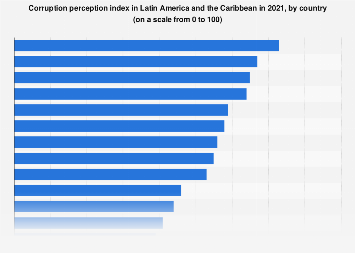 This chart shows countries and territories ranked on perceived public sector corruption in 2018.